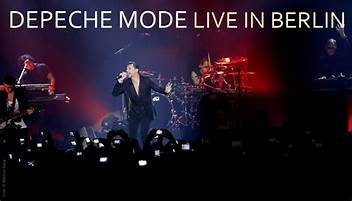 This live concert features over 2 hours worth of never before released, stunning live concert footage & was recorded by celebrated filmmaker Anton Corbijn, filmed on location at the O2 World, Berlin, Nov 2013. Standard format is x2 audio CD's featuring x19 'live' songs. The deluxe format has the x2 CD audio, plus a x23 trk 'Live in Berlin' DVD, bonus DVD 'Alive in Berlin' featuring extended concert footage & behind-the scenes footage & band interviews. Also includes a 5:1 mix on Blu-Ray of the 2013 album "Delta Machine". All comes packaged in beautiful lift-off lid box & includes a x16 page colour booklet. HARBETH: Dangers of buying from unauthorised sources? Are vibration dampers worth the money?